Michael Sturm family at suppertime in Hamburg, Germany. 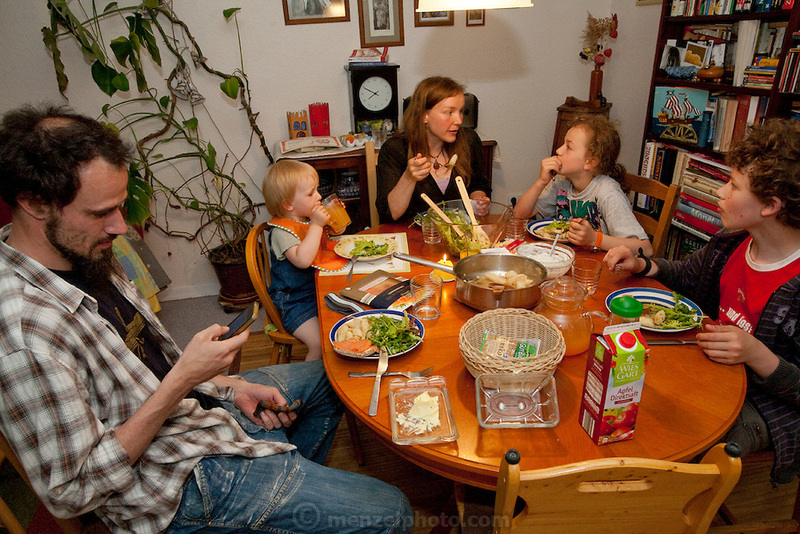 At supper Astrid Hollmann, 38, and Michael Strum, 38, and their three children Lenard, 12, Malte Erik, 10, and Lillith, 2.5They were photographed for the Hungry Planet: What I Eat project with a week's worth of food. Model Released.